Virginia became the latest state to unabashedly attack the sanctity of human life when lawmakers this week considered a bill to legalize abortion right up to birth. The debate produced a chilling exchange between the Republican leader of the Virginia House of Delegates and Delegate Kathy Tran, the Democrat who sponsored the abortion bill. Fortunately, lawmakers rejected Tran’s bill in a subcommittee vote Monday. But just states away, New York’s lawmakers are attacking the sanctity of life at both ends of the spectrum. The Legislature first passed a bill legalizing abortion up to birth, and, less than a week later, pro-death forces pushed for legalization of physician-assisted suicide. New York Gov. Andrew Cuomo, a Democrat, on Jan. 22 signed a bill legalizing abortion up to birth. On Monday, the group Compassion & Choices launched a campaign to legalize physician-assisted suicide in New York. That same day, the legislative subcommittee in Virginia debated and voted down Tran’s abortion bill, which is similar to New York’s new abortion law. The sanctity of life is under brazen attack, and it’s time for people to realize this is not a coincidence. Pro-death advocates are just getting started. Here are three lessons to take from the developments in New York and Virginia. 1. They’ve Only Just Begun. Earlier this month, Dr. Leana Wen, a physician who is Planned Parenthood’s new president, dispelled any confusion that the nation’s largest abortion provider is about making abortion rare. 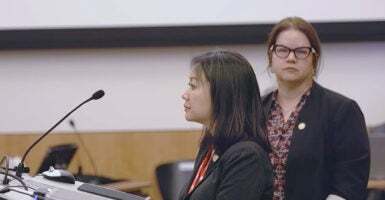 On Tuesday, the Virginia Republican Party posted a video from the subcommittee hearing held Monday for Tran’s bill allowing a baby to be aborted right up to the time of birth. In the video, Tran, who came to the United States as a Vietnamese refugee and represents parts of Fairfax County, defends her legislation. Tran’s bill also would remove ultrasound requirements, give abortion providers the authority to decide whether a mother’s mental or physical health “justifies” a late-term abortion, end the state’s 24-hour waiting period before an abortion, and reduce health and safety standards for abortion clinics. Virginia Gov. Ralph Northam, a Democrat, touted the bill early this month during his State of the Commonwealth address and reaffirmed that support in remarks Wednesday on a radio show, The Republican Standard reported. A tweet by Planned Parenthood of Virginia shows it is proud that Tran’s bill would have ended state protections for those seeking abortions. But Planned Parenthood apparently gives no thought to the millions of baby girls who have been killed by abortion in the U.S. Here is the exchange between Tran, who reportedly has received $2,792 from the Virginia chapter of Planned Parenthood, and Gilbert, the state House majority leader, who questioned the lawmaker about how far her bill would go. Gilbert: OK. I’m talking about mental health. Gilbert: So where it’s obvious that a woman is about to give birth, she has physical signs that she’s about [to] give birth, would that still be a point at which she could still request an abortion if she was so certified? [pause] She’s dilating? Compassion & Choices is just as open about its goal to expand the “right to die” to every state across the country. “We have set our sights on several lofty long-term objectives, including perhaps the most ambitious one: making sure that, within 10 years, medical aid in dying is an open and accessible medical practice for half the U.S. population,” Compassion & Choices said in its fall 2018 newsletter. “With our collective efforts, this is completely doable,” the group said. In the same city, the 9/11 Memorial honors the mothers and unborn babies who died in the terrorist attacks of Sept. 11, 2001, as well as an expectant mother killed in the 1993 World Trade Center bombing. The phrase ‘and her unborn child,’ follows the names of the expectant mothers—who also include Monica Rodriguez Smith, 35, of Seaford, who was working her last day before maternity leave when she was killed in the 1993 World Trade Center bombing, and that of Jennifer L. Howley, 34, of New Hyde Park, who was expecting her first child in January 2002 when she died in the towers. It’s tragic and unconscionable that the same city that honored the lives of the unborn who died on 9/11, etching them into a memorial so they never will be forgotten, is now celebrating the legality of the right to kill a baby up until birth. The slogan could not be more of an oxymoron, because if it succeeds in its so-called mission, there will be nothing left to invest in. “Assisted suicides in the Netherlands include a 29-year-old who had nothing wrong with her physically,” a March 2018 article from The Guardian reads. In 2017, physician-assisted suicide in the Netherlands claimed the lives of 6,600 people, a 10 percent annual increase, it says. Child euthanization is legal in Belgium, allowing doctors “to terminate the life of a child, at any age, who makes the request,” The Washington Post reported. The law permitted doctors and Belgium to end the lives of a 9-year-old and an 11-year-old. In Toronto, a hospital released a physician-assisted suicide plan for children in October. It turns out that Iceland “has almost completely eliminated Down syndrome births” because it encourages termination of those pregnancies. 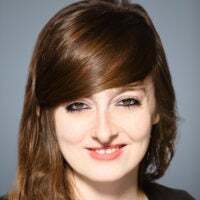 The United Kingdom has a 90 percent termination rate for pregnancies with a Down syndrome diagnosis, Denmark has a 98 percent termination rate, and France, 77 percent. Lest we forget, the United States is one of seven countries, including North Korea and China, that allow elective abortions after 20 weeks of pregnancy. A callousness to the value of life is on full display in situations coming out of Iceland, the Netherlands, Belgium, and other countries. The trajectory of countries that enshrine death as a right, both at the beginning and end of life, should force this country to think twice about the path we want to take. The culture of death is never sated, and we as a society, founded on the promise of “life, liberty, and the pursuit of happiness,” are severely betraying that promise.